While I'm giving away resources, here is another one! I think it is pretty obvious how it works but in case it isn't, I will quickly explain. 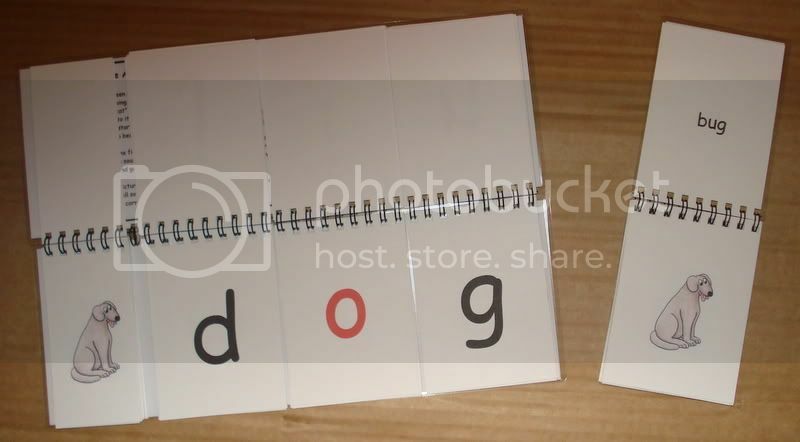 Basically the child flips over a picture card on the left hand side and then segments the word, flipping through the letter cards until the correct sounds are found. I have also designed an answer book so older children can check their spellings independently. This little book concentrates on the alphabet sounds, but I have designed another one which follows this. That one focuses on the sounds oo, ee, sh, ch, th, el, ar, or, er, ir, ur, ere, eer, are and oor. Again, let me know if you would like to make one and I will send you the file.